Is there a depression cure? Depression is a serious medical illness affecting more than 14 million Americans each year.1 It is a condition which lasts two or more weeks and interferes with a person’s ability to carry out daily tasks and enjoyed activities that previously brought pleasure. 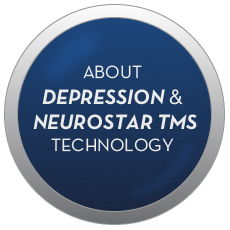 The exact cause of depression is not known, but the leading scientific theory is that depression is caused by an imbalance in the brain’s neurotransmitters. Neurotransmitters are chemical messengers that send signals between brain cells. A person’s genetic make-up and life history may also determine a person’s tendency to become depressed. Depression is most often treated with psychotherapy (talk-therapy) and antidepressant medications administered together. Although antidepressants can be effective for many patients, they do not work for everybody. Additionally, since antidepressants are typically taken by mouth, they circulate in the bloodstream throughout the body, often resulting in unwanted side effects. More than 4 million patients do not receive adequate benefit from antidepressant medications and/or cannot tolerate the side effects caused by them. For these patients, alternative treatments are available which usually involve the use of a medical device. 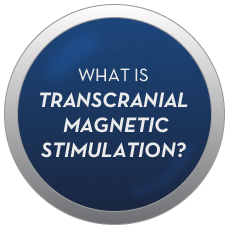 These treatments include: transcranial magnetic stimulation (TMS), electroconvulsive therapy (ECT) and vagus nerve stimulation (VNS). 1. Kessler, RC, et al. Prevalence, severity, and comorbidity of twelve-month DSM-IVdisorders in the National Comorbidity Survey Replication (NCS-R). Archives of General Psychiatry, 2005 Jun: 62 (6):617-27. 2. Greenberg, PE, et al. The economic burden of depressive disorders in the United States: How did it change between 1990 and 2000? Journal of Clinical Psychiatry. 2003; 64 (12): 1465-1475. 3. Murray CJ, Lopez AD. Evidence-based health policy – lessons from the Global Burden of Disease Study. Science. 1996; 274 (5288): 740-743. 4. Heron, Melonie, et al. Deaths: Final Data for 2006. National Vital Statistics Reports, 57 (14). April 17, 2009.